Upon their arrival in Monte Carlo, Ricky forbids Lucy to go near the gambling casinos, suggesting instead that she and Ethel have dinner and go to a movie. The women enjoy their dinner at Le Grill restaurant, which just happens to be in a casino. Strolling out of the restaurant into the casino, Lucy spots a chip on the floor and being unable to find its owner, places it on the roulette table. Moments later, she is 875,000 francs richer. Frightened by Ricky's possible reaction, Lucy chooses to hide the money in Ethel's bank account book. He discovers the money and accuses Fred of embezzlement. A fierce argument commences, and Fred quits as band manager. To save the fifteen-year friendship, Lucy tells them that the money belongs to Ethel, who inherited it from her French aunt, Yvette. Fred: "You mean my little honeybunch is loaded?" 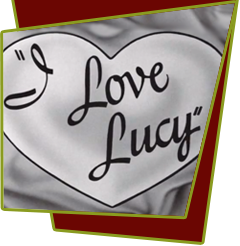 Lucy finally confesses the truth and then decides to get rid of the "ill-gotten gains." She rushes down to the casion and proceeds to gamble away the money. Meanwhile, Ricky has learned the truth about the bundle of cash and he's delighted about Lucy's good fortune. But by the time he reaches the gambling palace to tell Lucy she can keep the cash, Lucy has already lost the fortune. Special Notes: The gambler wearing the fez headdress in the early casino scenes was Bob Carroll, Jr., one of the "Lucy" writers. The Desilu prop department went to the Earl Hays Press on Santa Monica Boulevard at Las Palmas Avenue in Hollywood to have the French francs printed for this episode. Bloopers: When Lucy is looking in her guidebook for a restaurant in Nice, she is using a a Paris guidebook.